Over the summer and into the fall I worked with Michael Luther, Pres. & CEO of Bantam, on content and the design for a new website that went live on November 27th. I also created an accompanying Corporate Factsheet, and a customized PowerPoint Presentation. 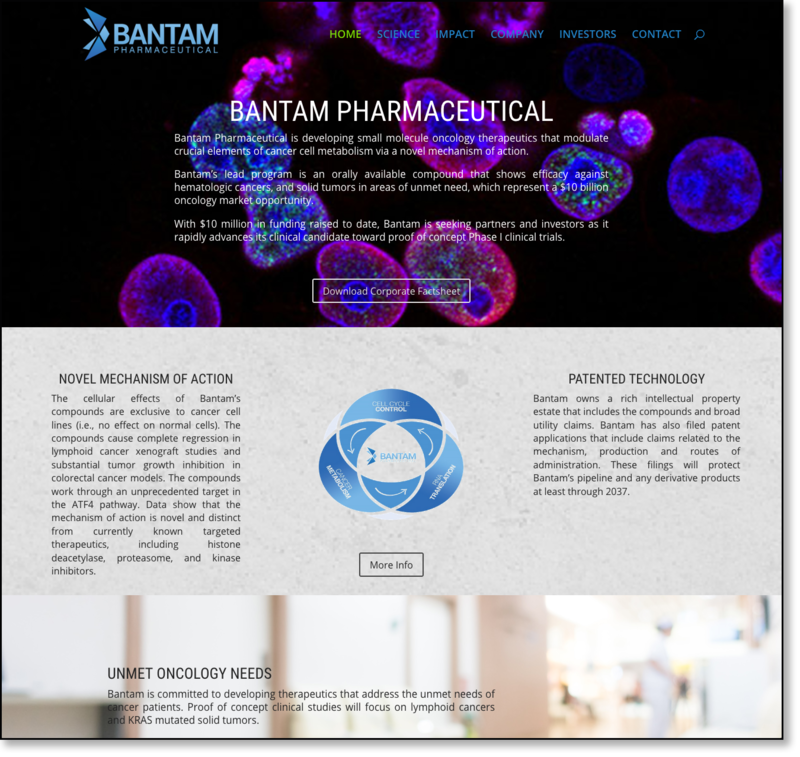 Bantam Pharmaceutical is developing small molecule therapeutics that modulate elements of cancer cell metabolism. They are looking for investors and partners to advance their lead candidate through proof of concept Phase I clinical trials. You can find out more information at Bantam Pharmaceutical. The website was built in WordPress using Elegant Themes DIVI Builder.